Preheat and season a grill over medium flame. In a small saucepan over a low flame, combine rum, brown sugar, citrus juices and spices. Heat, stirring constantly, until the sugar dissolves. Remove from heat and allow mixture to cool. Place pineapple rings on the grill and baste with rum mixture. 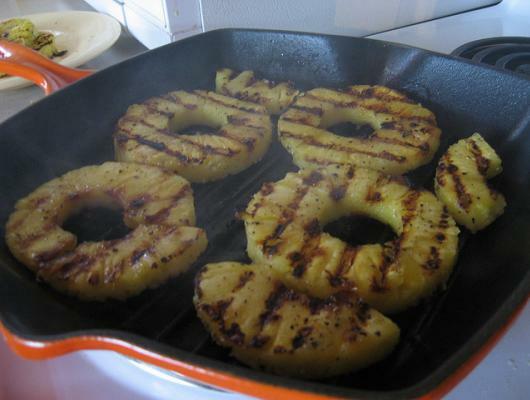 Grill for 8-10 minutes, flip the pineapple rings and baste again with rum mixture, cooking for an additional 6-8 minutes. Remove pineapple rings from grill and serve with remaining glaze. Perfect as a burger topping or served warm over vanilla or coconut ice cream!